Highpoint Environmental Services is a privately-owned company with our head office located in Toronto, Ontario, Canada. We specialize in providing services in the abatement and remediation of hazardous materials including asbestos, mould, lead and PCB's. In addition, we provide demolition services including structural, interior and selective demolition. 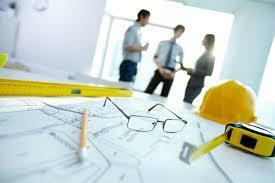 We provide our services to the industrial, commercial and institutional sectors of the construction industry. Highpoint's management has a wealth of experience in successfully performing projects in occupied facilities such as commercial high-rises, manufacturing facilities, hospitals, schools and correctional institutions. We work closely with project stakeholders including building owners, property managers, architects, engineers and environmental consultants to ensure the successful completion of all projects. Highpoint has trained site supervision and field personnel to effectively complete projects in a safe and timely manner while ensuring minimal disruption to building occupants and daily operations of facilities. Highpoint has all the necessary resources, including a large inventory of equipment and materials to quickly respond to emergencies. Management, supervisors and field personnel are available 24/7 to respond immediately to any situation.